Savant Systems has acquired LiteTouch, Inc. of Salt Lake City, UT. The acquisition provides Savant with a lighting control platform as well as a broad range of keypad offerings to complement the company's iOS user interface solutions for residential and commercial control applications. "The acquisition of LiteTouch brings to Savant a comprehensive lighting control system including a broad range of aesthetically pleasing keypad solutions from a respected and recognized supplier," said Savant CEO, Robert Madonna. 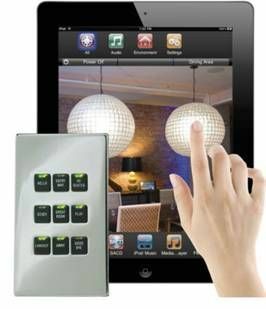 "Our sales channel has been asking for a lineup of lighting control and integrated keypad products from Savant that operate in concert with Apple iOS devices to manage and control a vast array of connected home and commercial technologies." The LiteTouch keypads will fully support a wide array of controlled devices including third party lighting systems as part of Savant's ecosystem of advanced automation. "By leveraging LiteTouch's three decades of lighting control success coupled with Savant's award-winning TrueImage interface, users will now have access to the most powerful automation, lighting and media control platform," Madonna added.